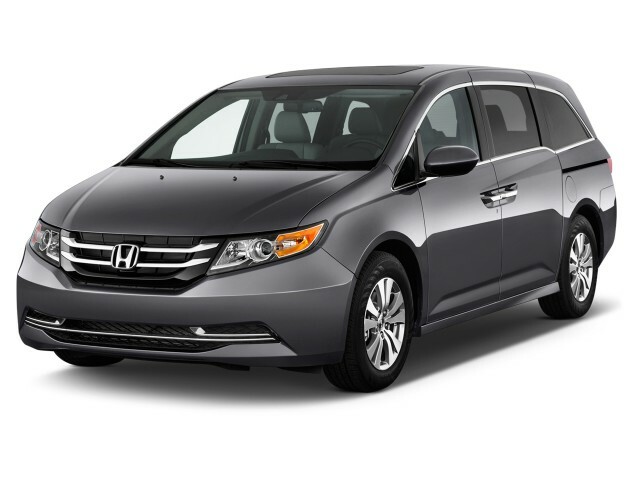 The 2015 Honda Odyssey's base LX model is a great value within the Odyssey lineup and among minivans in general. If the budget allows and you want the added content, you can't go wrong with the loaded Touring Elite. The 2015 Honda Odyssey is at the pinnacle of minivan design, offering practical features in a space-efficient package that's more rewarding to drive than most other vans, SUVs, or crossovers. 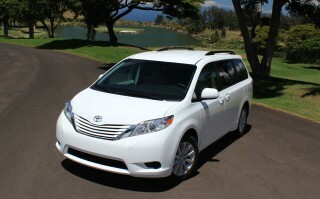 People like multi-function vehicles nowadays; and among them minivans are the most versatile. 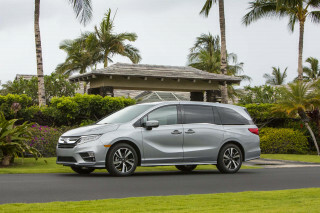 It's easy to forget that minivans like the 2015 Honda Odyssey are, at once, go-to wheels, medium-duty haulers, multi-passenger carriers, and rolling diaper bags. The Honda Odyssey is one of our highest-rated family vehicles, because of that convenience, and also because they earn top crash scores and even blend in a little driving fun. 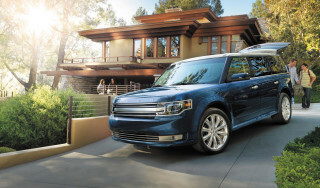 Last year, the Odyssey received refined styling that included a more deeply sculpted hood, a bolder grille, darker-finish headlamp housings, and a new lower front fascia with chrome-trimmed fog lamps. At the back there are LED taillight bars. Inside, the Odyssey got a new center-stack design as well as new finishes throughout. All of those changes carry over to the 2015 model. The Odyssey stands as one of the best minivans ever—a not-so-mini vehicle that open-minded families won't be able to resist. With all the latest infotainment features, lots of tech savvy, and even a little design flair, the latest Odyssey is stands at the top of the minivan heap. As far as the design goes, Honda managed to add a little visual interest to this box on wheels with the last redesign, including the “lightning bolt” detail along the side; it can be a bit controversial to onlookers but affords better outward vision for rear passengers. The Odyssey's 3.5-liter V-6 is nothing special but provides adequate output; it makes 248 horsepower and 250 pound-feet of torque throughout the model line; Honda's six-speed automatic transmission is also standard across the lineup. In short, the Odyssey performs like a car, with confident acceleration and passing, and even enough power to take on mountain roads with a full load. Although it's a taller vehicle, it handles more like the Accord sedan than the Pilot crossover. The ride is smooth for all passengers, as well. Inside, the Odyssey is a surprisingly quiet and refined space. Active noise cancellation and active engine mounts both quell any vibrations from fuel-saving cylinder deactivation, as well as excess road noise. Cubbies and bins abound, with the center compartment between the front seats designed to swallow large items like a purse or tablet. The current Odyssey is loaded with other thoughtful touches, including a highly reconfigurable seating layout. An available split second row allows for the two outboard seats to be moved toward the doors (Honda calls this wide mode) to make more space for adults sitting side-by-side. The second and third row can also move relative to each other to provide more room either for access to the rear seats or comfort for the second-row passengers. There's also flexibility in where child safety seats are placed; the Odyssey offers a a class-leading six child-seat tether locations and five LATCH locations (the official clips). Base LX models include Bluetooth hands-free calling, Honda's intelligent Multi-Information Display (i-MID), and an eight-inch TFT screen, in addition to 2 gigabytes of audio storage and a USB audio port; but many of the most desirable features remain the exclusive domain of the Touring and Touring Elite models. For 2014, the rather pricey Touring Elite got some of the infotainment features that made their debut in the 2013 Accord. This includes the HondaLink infotainment suite, which allows owners to use a smartphone app to access Aha Internet-based entertainment, or hear Facebook and Twitter updates via text-to-speech. Touring Elite models also get a 650-watt sound system with hard-disk storage, the ultra-wide-screen system, theater surround sound, and HID headlamps. A standout option is the 16.2-inch wide-screen entertainment system, which can even split the screen in half to display two separate inputs (including HDMI), while the navigation system features Zagat listings and live traffic info. Perhaps the Odyssey Touring Elite's most enticing feature is the HondaVAC system, which was new for 2014. HondaVAC—co-developed with Shop-Vac— is a powerful integrated vacuum cleaner located on the left side of the cargo compartment. Accessories and nozzles are included and can be attached to the pull-out hose, which reaches all the way to the front of the van. Because it is hardwired to the vehicle's battery, the HondaVAC never needs to be charged or plugged in; it acts as a normal vehicle accessory, capable of running for up to eight minutes with the vehicle turned off. 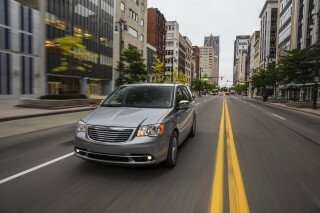 The Odyssey has also been a standout when it comes to safety. It's been one of the few large vehicles to achieve top ratings from both U.S. safety agencies. The IIHS calls it a Top Safety Pick, and the Odyssey has all the safety-feature bases covered, with a standard rearview camera system on all models, and the top Touring Elite getting an Expanded View Driver's Mirror, a blind-spot warning system, Forward Collision Warning, and Lane Departure Warning. With its lightning-bolt sideview, the Odyssey at least makes an attempt to look interesting. 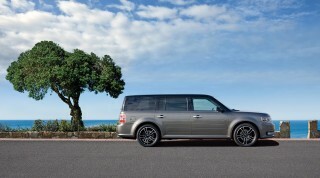 Balancing the practicality of the minivan's one-box design with a sense of style can be tricky at best. Honda at least tried in this latest generation, using careful applications of chrome, expensive-looking lighting elements, and a unique profile to differentiate it from the rest of the minivan crowd. The 2015 Odyssey borrows more of its styling cues from the sedans in Honda's lineup than it does from the brand's crossovers. In its most recent redesign, small bits of brightwork and a more arched roofline found their way to the Odyssey, but the most interesting addition was the "lightning bolt" hump along the rear window. Intended to improve visibility for rear-seat passengers, it also serves as a way to hide the Odyssey's sliding-door tracks and attempts to provide some visual interest. Whether or not it works as a design element is up to personal opinion. There are also small windows in front the side mirrors, which make the Odyssey look a little futuristic while adding a smidge of visibility for front occupants looking out. The rear sheetmetal under the "lightning bolt" is also a little more flared and sculpted, giving this minivan an aerodynamic edge and a little bit of outward excitement. The Odyssey appears lower to the ground than most minivans because of its slightly greater width dimensions—this also provides more room for occupants. Inside, the Odyssey is more utilitarian, with the last redesign bringing only evolutionary changes. The instrument panel design is familiar and upright, remaining somewhat swoopy and space-maximizing. In stark contrast to the sea-of-buttons look that's offered up in the dashes of some Honda and Acura passenger-car and crossover interiors, what's here is a refreshingly simple control layout containing large knobs and controls. The handling and ride of the Odyssey are the most pleasing of any minivan not named the Mazda 5. 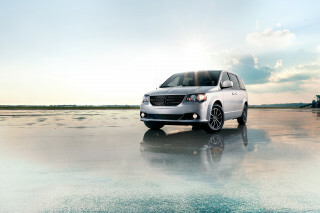 Minivan shoppers aren't usually concerned with straight-line performance, nor should they be. It's more important that a people carrier such as this be comfortable and safe, but some modicum of safety can be had with a vehicle that will accelerate smoothly with traffic. The 2015 Honda Odyssey's carlike attributes extend to its driving dynamics, inspiring confidence when it's time to brake, turn, accelerate, change lanes, or stop. The Odyssey is powered by Honda's 248-horsepower, 3.5-liter V-6, which generates 250 lb-ft of torque. A six-speed automatic is now standard. The Odyssey isn't flat-out quick, but it feels plenty fast for this kind of vehicle; it takes about 8.8 second to get to 60 mph. Although the Odyssey isn't tuned for performance driving, its variable-displacement power-steering system has great weighting and even a little road feedback, and it's far better than the electric power steering systems that Honda has installed in its smaller CR-V and Civic models. The Odyssey handles much more like a V-6 Accord, even though its looks align more closely with the larger Pilot SUV. Thanks to some expert chassis engineering, this minivan corners with poise and control but not much harshness as a tradeoff; that's because of well-tuned, isolated front and rear subframes that help avoid the queasy secondary motions that plague many big, family-hauling vehicles. While the Odyssey's six-speed transmission delivers decisive, quick, smooth shifts when you're accelerating rapidly, we've noticed that shifts can occasionally be balky when things aren't as urgent--when you're getting gently back on the gas out of a corner, or accelerating lightly, for instance. And with only an 'L' mode and an O/D-off button on the gearshift selector, there's no straightforward way to simply control shifts when you're on a mountain road. Excellent seat comfort in all positions makes up for the fact that the Odyssey's middle row of seats don't fold away into the floor. Minivan shoppers are most interested in versatility, comfort and interior space–keeping the kids occupied and quiet tends to be a plus, too. Whether you're a parent to many, a regular carpool driver, or a grandparent with the occasional family-hauling duties, the 2015 Odyssey delivers all the convenience you need. It's loaded with smart features, and both the second and third rows of seats can fit full-size adults or slide fore and aft to accommodate up to eight passengers. Front seats aren't completely neglected; they're comfortable and somewhat wide, and there's a good view outward. But we can't say they're among the best; we would have liked more lateral support and back support. The second row can actually slide outward–changing the width of the second row depending on whether there are two adults, three passengers, or a combination of child seats there (there are now five sets of LATCH connectors for child seats). As for the third row, it gets an armrest in some trims, while the folding mechanism is excellent--you can fold either section of the seat into the floor in a single motion, with only the firm pull of a strap (it takes one arm, and there's no need for a complex power-folding mechanism). This 6'-6" editor would have been happy all day in the second row, while the third row was more confining and only good for short trips. With both the second and third rows folded, there's enough space and a continuous cargo floor good for two ten-foot-long 2x4 studs, or 4x8 sheets of plywood. For smaller items, there's a media drawer with damped motion, a cooler compartment that can hold several cans or bottles, and a trash-bag ring—one of those simple things you'll wonder how you've managed without. Interior materials and trims aren't in the luxury realm, but they're not bad for also being Wet Wipe-friendly. Safety scores are impressive, and so is the Odyssey's list of standard safety gear. The 2015 Odyssey is one of the safest vehicles on the road, just barely missing a perfect score. The Insurance Institute for Highway Safety (IIHS) gives the Odyssey its Top Safety Pick award, which includes top 'good' ratings in each of five crashworthiness tests. It misses the TSP+ honors list this year, however, due to its available Forward Collision Warning system that only complies with IIHS 'basic' front crash prevention standards, however. The National Highway Traffic Safety Administration (NHTSA) gives it five stars overall, with a sole four-star rating for rollover resistance. All Odysseys offer standard Bluetooth as well as a rearview camera, while the LaneWatch sideview camera—which shows a camera view along the right side of the car when the right turn signal is activated—comes on all but the base LX model. EX-L trims and above include lane-departure and forward-collision warning systems. To get blind-spot monitors as well, you'll have to buy the most expensive model, the Odyssey Touring Elite. Not only is the Odyssey safe in the event of an accident, both its handling and visibility are excellent, which can both aid in accident avoidance. The Odyssey includes the expected safety features, such as stability control, anti-lock brakes, driver and passenger front side airbags, and full-length side curtains, but what makes it a standout is that it offers a a class-leading six child-seat tether locations and five LATCH locations (the official clips). 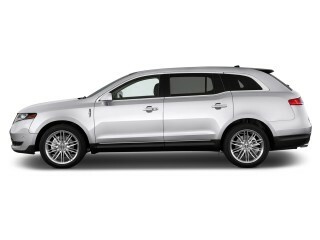 What that means is that you can fit up to five child seats in some cases--or up to four seats of any kind. The best infotainment and safety features are mostly available on the expensive Touring Elite trim. The full 2015 Honda Odyssey lineup includes LX, EX, EX-L, Touring, and Touring Elite models. The Odyssey offers some standout technology options like auto-leveling HID headlamps, a hard-drive-based music system, and blind-spot detection. Unfortunately for those on a budget looking only for certain features, those items are only available on the Touring and Touring Elite models. This can be frustrating, as there are no a la carte options. That said, the base model does represent good value. Bluetooth is standard on all Odysseys, as are 2 GB of audio storage, USB audio connectivity, a rearview camera, and an eight-inch TFT information display. Air conditioning; power windows, locks, and mirrors; and a stereo system with a subwoofer all come standard on the base LX model, too. The mid-trim EX models add tri-zone climate control, heated mirrors, Homelink and second-row sunshades. Honda's LaneWatch camera system, which displays an image of the right-hand blind spot whenever the right turn signal is activated, is included on EX models and higher. The EX also adds a mirror to help aid conversations between front- and rear-seat occupants. Heated leather seats are standard for EX-L models and above, as are features like the cooling box, power moonroof, and utility tray. EX-L models equipped with navigation include 15 GB of hard-drive space, which Honda says is enough to hold the contents of 175 CDs. The navigation system has an especially clear, intuitive display, and we like the controls better than the systems in some of Honda's other models; it has a built-in Zagat guide, a huge point-of-interest database, a high-contrast VGA display, and free FM-based traffic information. You can also customize the system with a personal picture for wallpaper. Navigation is standard on both the Touring and Touring Elite. EX-L trims and above include advanced safety features, including active lane-departure and forward-collision warning systems. A power tailgate is also included at this level and beyond. At the very top of the lineup, Touring Elite models add to a blind-spot detection system, a 650-watt sound system with hard-disk storage, theater surround sound, and HID headlamps. Those in the back for long car rides will appreciate the 16.2-inch wide-screen entertainment system, which can show one source or split the screen in half to display two separate inputs (including HDMI). The top model also gets HondaLink, which allows owners to use a smartphone app to access Aha Internet-based entertainment, or hear Facebook and Twitter updates via text-to-speech. Perhaps the most enticing Touring Elite feature is the HondaVAC system, which was added last year. Co-developed with Shop-Vac, this powerful integrated vacuum cleaner is located on the left side of the cargo compartment. Accessories and nozzles are included and can be attached to the pull-out hose, which reaches all the way to the front of the van. Because it is hardwired to the vehicle's battery, the HondaVAC never needs to be charged or plugged in; it acts as a normal vehicle accessory, capable of running for up to eight minutes with the vehicle turned off. The Odyssey gets fuel economy as good as the smaller, four-cylinder Mazda 5. The 2015 Honda Odyssey has best-in-class EPA fuel-economy ratings. Honda paid particular attention to aerodynamics when it redesigned the van, going so far as to reshape the mirror caps for smoother airflow. Along with its cylinder-deactivation system—which can shut down two or three cylinders depending on engine load—the six-speed automatic transmission in the Odyssey helps the minivan earn 19 mpg in the city, 28 highway. 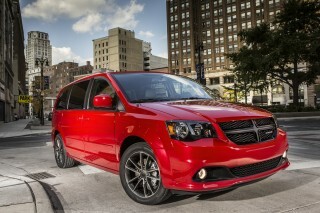 These numbers are considerably better than the comparable Toyota Sienna and Chrysler Town & Country/Dodge Grand Caravan. In short, if you need three rows of seating and want a regular, non-hybrid powertrain, the Odyssey is your most fuel-efficient pick. I have driven Toyota's for the last 20 years, but decided to try an Odyssey van this time. I traded in my Toyota Sienna van for a 2015 EX-L Odyssey. First the plus features: Seats are very comfortable and the... I have driven Toyota's for the last 20 years, but decided to try an Odyssey van this time. I traded in my Toyota Sienna van for a 2015 EX-L Odyssey. First the plus features: Seats are very comfortable and the dash layout is good. The 2nd row seats seem larger than the seats in my Sienna, and my wife said that they are more comfortable. Mileage so far seems to be around the same on the highway (25 MPG0 and slightly better in the city (21 vs 20). The navigation system is bright and clear, but definitely does not live up to what I believe it should be. More on that in a moment. The negatives: This has to be the worst voice recognition system that I have ever had on a vehicle. It constantly does not find the correct person when trying to make a call with the Bluetooth, sometimes taking 7 or 8 tries before it finds the right name. Oh, and you can't say Call John Smith, you have to say "Call Smith, John for it to find the person. Really???? Who speaks that way? Sometimes when saying "Call Smith, John", it will take me to a completely different name or a different function in the system. And the navigation system, the person who designed this must be a masochist. In my Toyota, I would hit the button on the steering wheel and say, "Destination 123 Main St, Anytown, Massachusetts, and it would load into the system. On the Odyssey, first you have to hit the NAV button on the dash or hit the button, wait for the screen to change to show phone call, address, and a host of other choices. Then you have to hit the button and say address, wait for the screen to change and then hit the button again and say State, then hit the button and say the states name, then you have to hit the button again and say city, then wait and hit the button again and say the name of the city. Then hit the button again and say street, wait and then hit the button again and say the name of the street, then hit the button again and say the street number, but you can say one hundred twenty three, you have to say 1, 2, 3, and then stop talking and wait for it to time out, then answer the question would you like to start route guidance and hit the button and say yes. IT IS THE WORST SYSTEM EVER DESIGNED!!!!! And they will tell you that it has traffic conditions built in, well not really. You can hit an information button and it will show "Traffic incidents" on the route, but ONLY if you hit the button and ask it, it doesn't show on the display that you are running into a problem. Heck, my 90 Garmin used to do that and tell me how long the delay was, but not this one. Oh and by the way, if you mess up ANY item while doing the above, you best just start all over again. The backup camera is a nice touch, but sometimes you have to sit and wait for 10 - 15 seconds for the guide that shows how far you are from objects behind you to display on the screen. I will give them credit for the right side display, which works when you put on your right hand directional signal or if you push in on the turn signal stalk. A camera mounted on the right side mirror shows you the vehicles alongside and behind in the right side blind spot, a nice feature. The EX and the EX-L come with a standard lane departure warning and a front collision warning signal which are nice features. My only complaint on them it that the sound is the same, the color of the lights are the same, and they are located next to each other on the dash, so if it sounds an alert, you can't really tell quickly which one is going off. I know it should be obvious when your supposed to being paying attention driving, but it would be nice if they used a different sound or different color lights on the display to differentiate the two. The air conditioning doesn't seem to cool the vehicle as quickly as the Sienna did, but I'll have that checked at the dealer to make sure that isn't something that can be adjusted.